Welcome to Capri Camper! Celebrating our 50th anniversary in 2019!!! 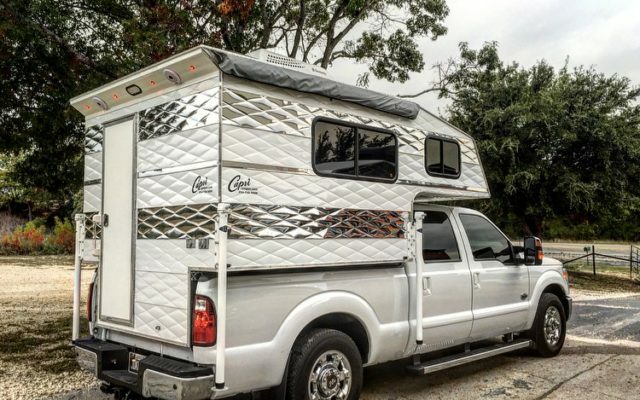 If you’ve been looking for a simple, light weight, custom truck camper that does not fit the truck camper stereotype then you’ve come to the right place! Our heritage has been building America’s #1 selling Rodeo Camper since 1969, but today we are more popular than ever building custom campers for anyone looking for the freedom to explore the great outdoors! Our vintage campers are now in 49 of the 50 states, plus Canada, Taiwan & Germany! No assembly line, no factory and no, we’re not building RVs in Indiana like everyone else. Every Capri Camper is custom built by hand from the ground up, right here in Texas. No other camper looks like a Capri and no other camper manufacturer provides our level of personal service from your first phone call until the day your new custom camper is installed. 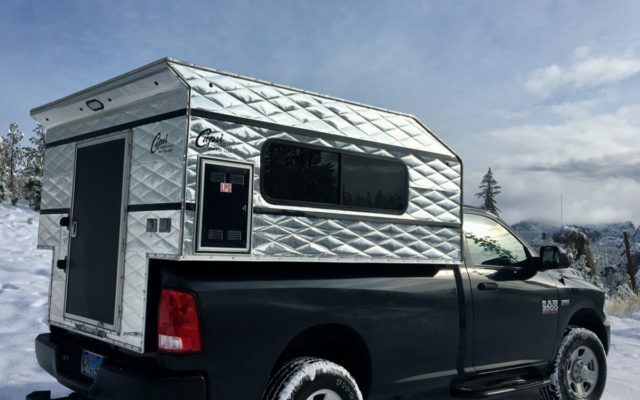 8’ long bed, 6 ½’ short bed, 5 ½’ short bed and now a custom camper to fit mid-sized trucks like Toyota Tacoma (see specs inside). Not only do Capri Campers have a vintage look, the whole process is like going back to a time when you loved doing business with your neighbor. It’s simple, straight forward and someone is always here ready to help. Our all new interactive website is user-friendly and includes simple tools and information that will help you build your very own custom camper. Our photo gallery has dozens of recent pictures to help you visualize interiors and exteriors of previous custom campers. And now you can click on each available option to see a photo showing exactly what it looks like in the camper. 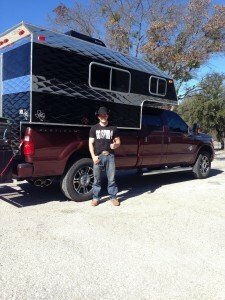 Three easy steps is all it takes to build your custom camper. Don’t forget to visit our new FAQ section where we have provided answers to the most frequently asked questions about our campers over the past four years. This may help you with decisions as you build your camper proposal. Once you settle on your perfect camper you may forward the work sheet to us (or call us) and we will contact you immediately to go over it. Once we complete the process and you are ready to get started, a 25% deposit will enable Capri to begin construction, the balance is paid at the time of installation. Depending on the timing of your call, the lead time for new camper construction should be anywhere from 3-8 weeks. We also send photos to you while your camper is being built so you can watch our progress. If you are needing financing your local bank or credit union should have no problem financing your new Capri. Just tell them that every new Capri Camper comes with a unique metal vehicle identification number (VIN) plate in the door jam and we do provide a title (it’s called an MSO, Manufacturers Statement of Origin) with every new camper. (In most states (40 out of 50), our campers do not require registration). We will also prepare the formal MSRP paperwork to give to your bank. (Capri Campers will be included in the national NADA Book soon). Your local bank should finance a new Capri Camper with that information. What are you waiting for? Let’s get started!!! I always loved Capri Campers, but the new generation Capri Camper blows all the others away. If you loved them before, you won't believe how good they are now!